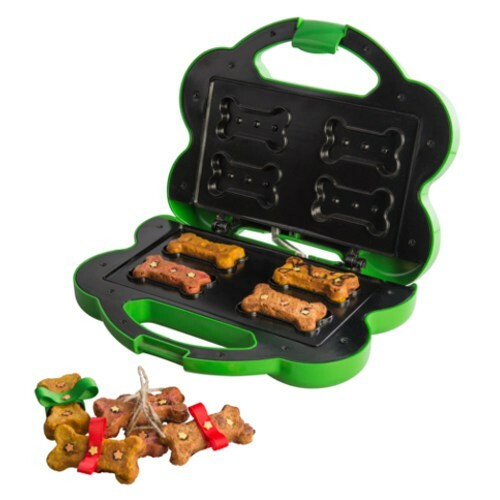 Toaster Dog Bone Maker Bimar Hi-Pet is an excellent tool to get your pet to have a good diet. 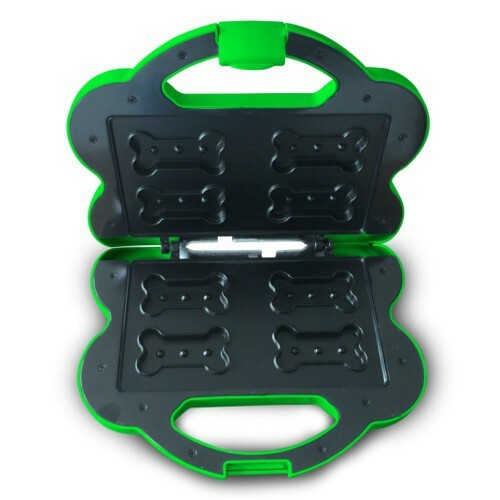 It is an electric sandwich maker with which you can bake at home tasty snacks in the form of bones to the delight of your best friend, making sure you eat what you want, because the ingredients you choose. This great pet accessory consists of two plates nonstick heating, each with its own strength and insulating mica sheet with four molds croquettes and reaching 200 ° C in less than two minutes. It is ideal for baking and roasting snacks and cookies with the recipe you choose, with your own recipes: gluten free, no additives, no preservatives, no flavorings and colorings. No matter what race, age or size of your pet, you can prepare food for her; even if you have no experience in the kitchen, it is very easy to use. It has a comfortable grip with hook closure, heat resistant paint, scratch-resistant rubber base with two signal indicators light up when the device is running and when the proper temperature is reached. Its design is bright and modern and size, ideal for use at home, store it on any shelf or for use away from home, take on the road where you go, etc. This article is part of pet catalog of the Italian brand Bimar, specifically its Hi-Pet, one of the most prestigious in Europe in the design and manufacturing pet accessories range. In Tiendanimal we have a full selection of products from this house that are available to you at a great price. Toaster to prepare delicious snacks for pets. With two nonstick heating plates. Heated to 200 ° C in just two minutes. With grip hook closure for added security. With lights that indicate the operation of the apparatus. Includes a small recipe book in several languages. Comfortable and practical toaster bake at 200 ° C in two minutes bone-shaped snacks to delight your pet. Easy to use and with healthy and tasty recipes you choose. Before being used for cooking, the appliance must be on "empty" to remove the new smell and any oil left over from the production process. Insert the plug into the socket, put into operation and leave the appliance plugged. When the cycle ends, remove the plug from the wall outlet and wait until the unit cools. To wash, use a damp cloth and then dry it. Do not use steel wool or abrasive substances that can scratch the nonstick surface. 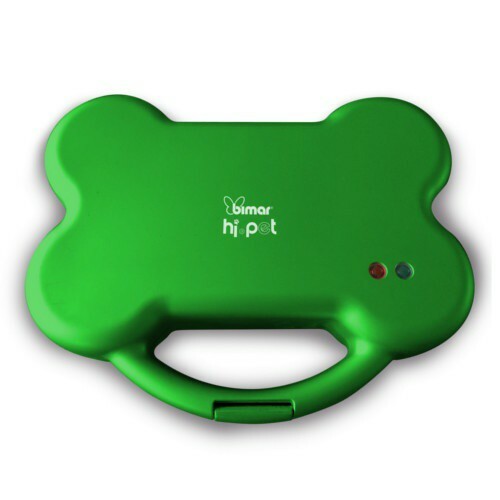 Prepare food yourself your pet comfortably at home with Toaster Dog Bone Maker Bimar Hi-Pet. Healthy and tasty snacks made by you!